We'll ask the important questions; do you need lots of bedrooms for your family? Do you love to entertain? Have you always dreamed of having a media room? Our award-winning team will work with you every step of the way. 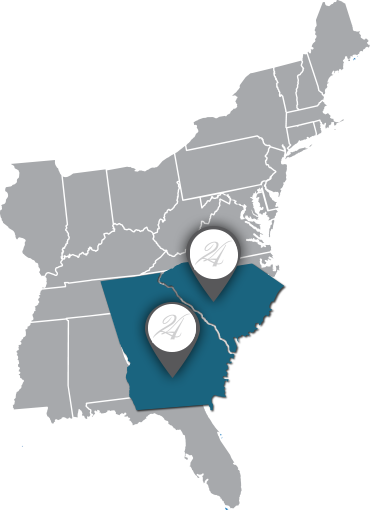 From the initial design consultation to the moment your home is finished, we will make sure that your brand new home meets your unique needs, whether you want to move to Savannah, Pooler, Bluffton, or anywhere else we sell homes. You'll find out why we're the best home builder in Georgia. A wonderfully affordable new home community in Brunswick Georgia, nearby everything this coastal area has to offer. Introducing thoughtfully designed cottage style homes. Nestled inside the established family friendly community of Bradley Point South. Conveniently located on Savannah’s South side! There are many reasons to buy a new home and Landmark 24 Homes has them all! Find your reason today and contact us or stop by any of our model homes to see our MOVE IN READY HOMES. No matter what your reason, we are here to help you explore the options in buying the new home you deserve!